We just flew over the mountains of Eastern Europe en route to Frankfurt from Dubai. Qantas have teamed up with the United Arab Emirates airline, so we did the first leg from Sydney to Dubai with Qantas, and the second one from Dubai to Frankfurt with Emirates. I really enjoyed stopping over at Dubai this time, as we were able to marvel at all the strange dress codes in the shopping arcade corridors, and then relax in the Emirates flight lounge until our flight was called. They’re much better than Qantas in terms of service at the moment. Looking down on the snow-tipped mountains just now. I think of student days travelling by deux chevaux from Paris to Ukraine during the Cold War, when Russian troops marched into Prague and stopped us from going there. (See “My Travel Journal” posts on this blog). 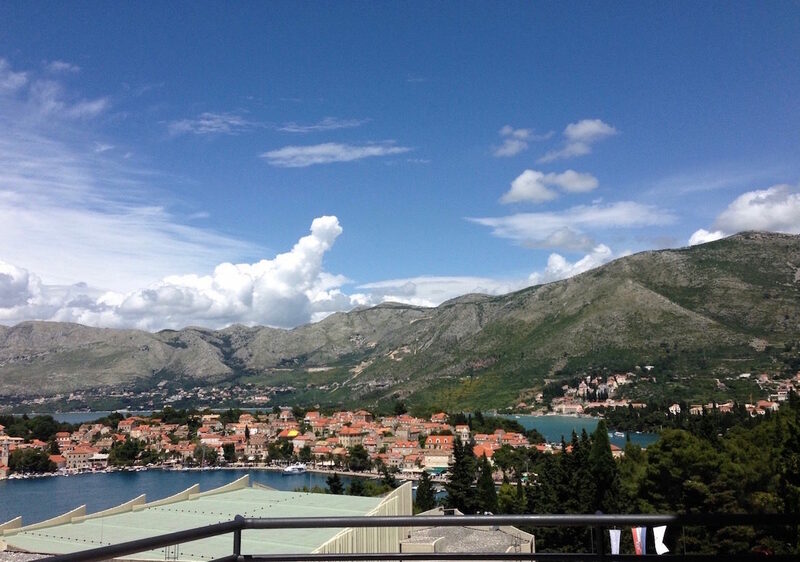 Just south of Dubrovnik, with its two peninsulas, Cavtat looks like a giant crustacean. The location of the Hotel Croatia venue for the Stuttering Conference, is on the western side of one claw, overlooking the Adriatic. The colour of the sea is turquoise, just as I remember it from those far-away days in 1968. That was when I camped along the coastal villages, travelling in a small, run-down French car with two Aussie girlfriends. Hood off our car and the wind and sun in our hair: Magical! Looking northwards from Dubrovnik, are many of the places I camped near or at during the sixties: Split, Zadar, and Rijeka. Going even further north to Rovinj and Porec: from there it’s a reasonably short boat trip across to Venice. I intend to get around this time, as last time I was suffering from a virus. 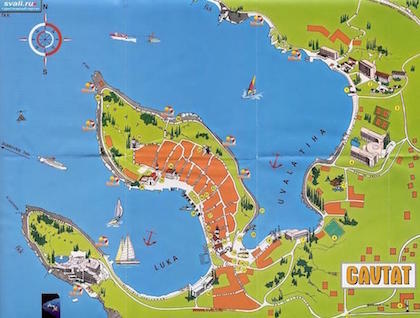 I stayed around the village then, visiting Dubvrovnik, and the islands, recuperating and enjoying the peace of Cavtat. What shall I do in Cavtat this time? Cavtat is situated at the southern-most tip of Croatia, a thirty-minute drive south from Dubrovnik. 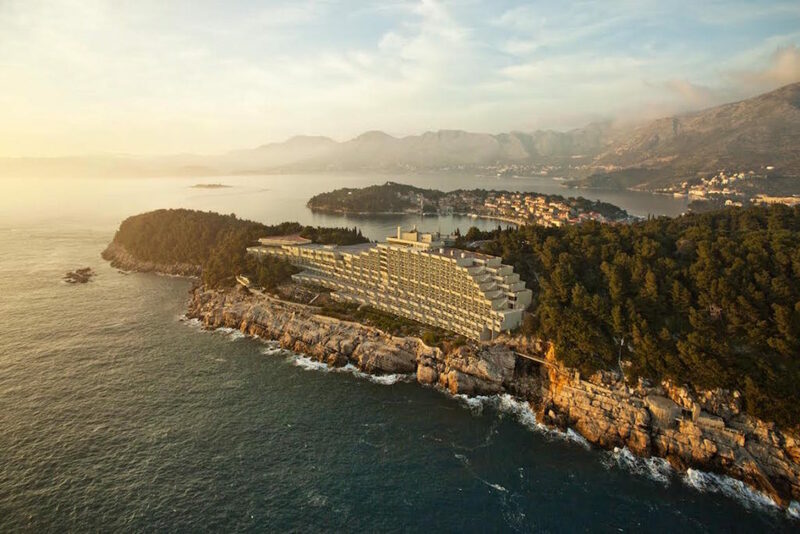 We will be picked up by the Hotel bus and taken back to the gorgeous white Hotel Croatia, built by Tito, and perched like a shining white liner on the Adriatic coast. I will ride around the pensinsula on a bicycle, stopping to visit Roman ruins and to stop for a swim and lunch. Two ancient churches are to be found at the main village, and ferries can be caught to nearby islands and to Dubrovnik. The original city was founded by the Greeks in the 6th century BC under the name of Epidaurus. The surrounding area was inhabited by the Illyrians who called the city Zaptal. 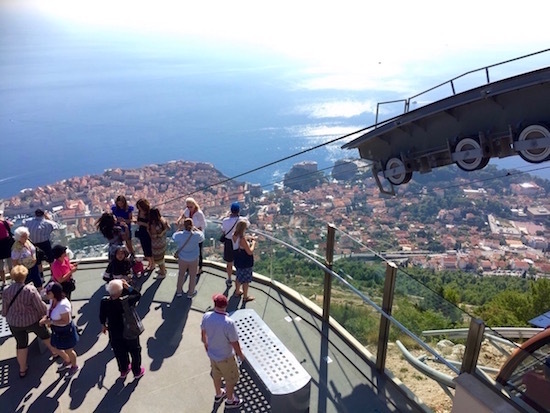 There is plenty to do and see in Dubrovnik: gorgeous restaurants, shops and museums. A guided tour is a good idea for history buffs. 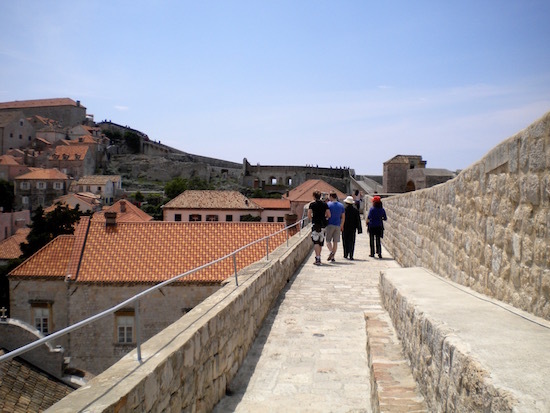 You must make a point of walking around the wall surrounding the city, and travelling on the cable car up to the “Homeland War Museum” at the top of the mount, overlooking the old city. This time, I will make a point of joining a tour to visit Mostar and see the famous bridge that was shelled during the homeland wars. While in Croatia, I will re-read Farewell Sarejevo, a book that made a huge impression on me, and that explains the conflict that devastated Croatia and split the former Yugoslavia, leading to alienation and angst among citizens, still palpable in Croatians to this day. 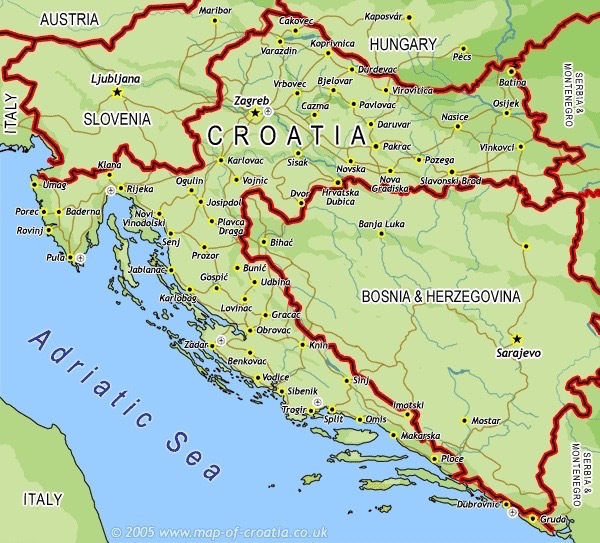 bosnia and herzogovina are neighbouring countries next to croatiasome cities along the coast of croatiawhat can one do in dubrovnik?where is cavtat?where is the homeland war museum in dubrovnik?